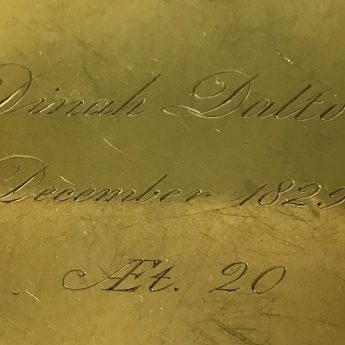 This young lady is named Dinah Dalton and she was twenty years old when this portrait was taken, possibly to mark her betrothal or her marriage. 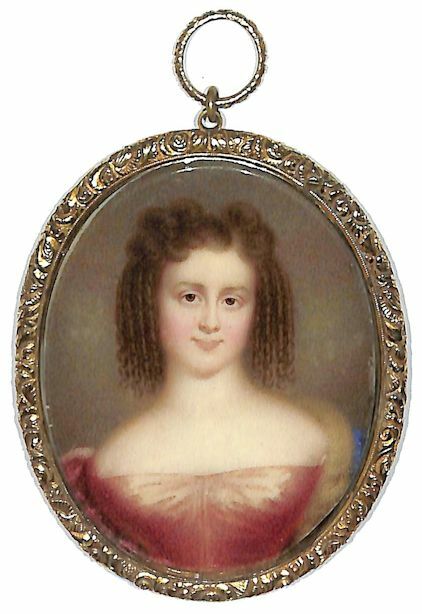 Dinah is wearing a rose pink silk dress with a draped bodice and a fur-trimmed royal blue shawl. 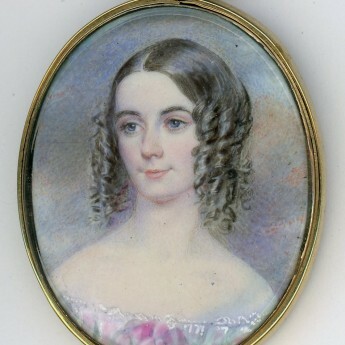 Her brown hair is curled and arranged in tight ringlets. 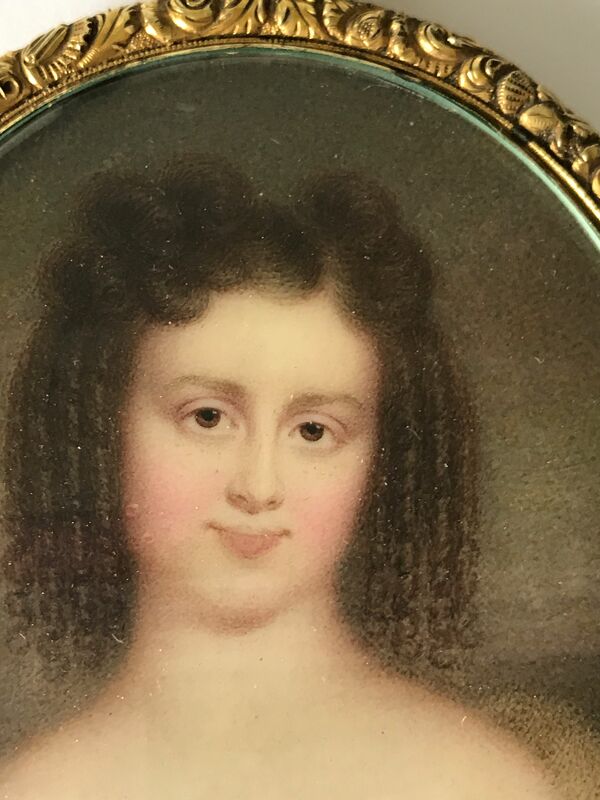 The portrait is presented in the original gilt-metal frame with a decorative border and hanging ring. 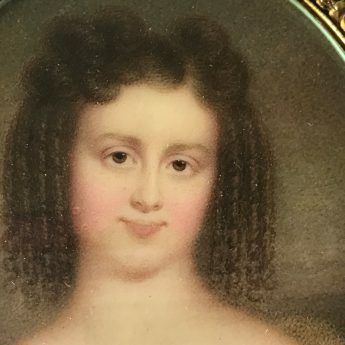 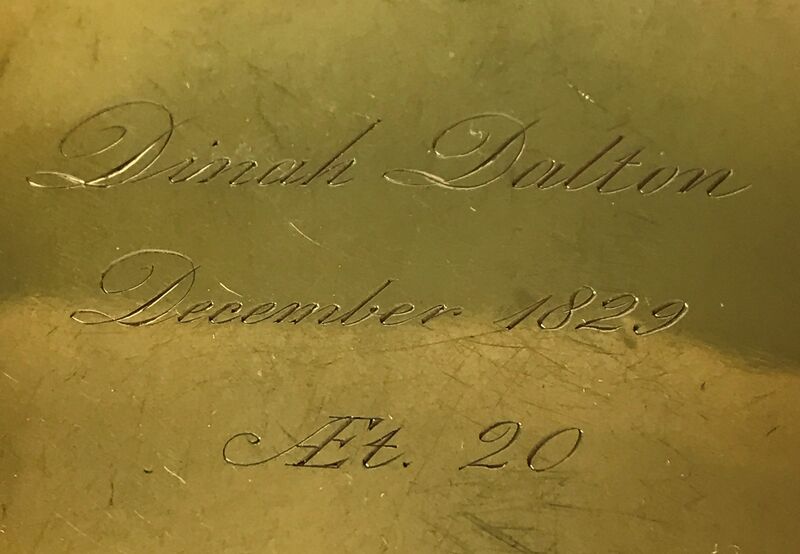 The frame is engraved on the reverse with her details – ‘Dinah Dalton / December 1829 / AEt 20’.